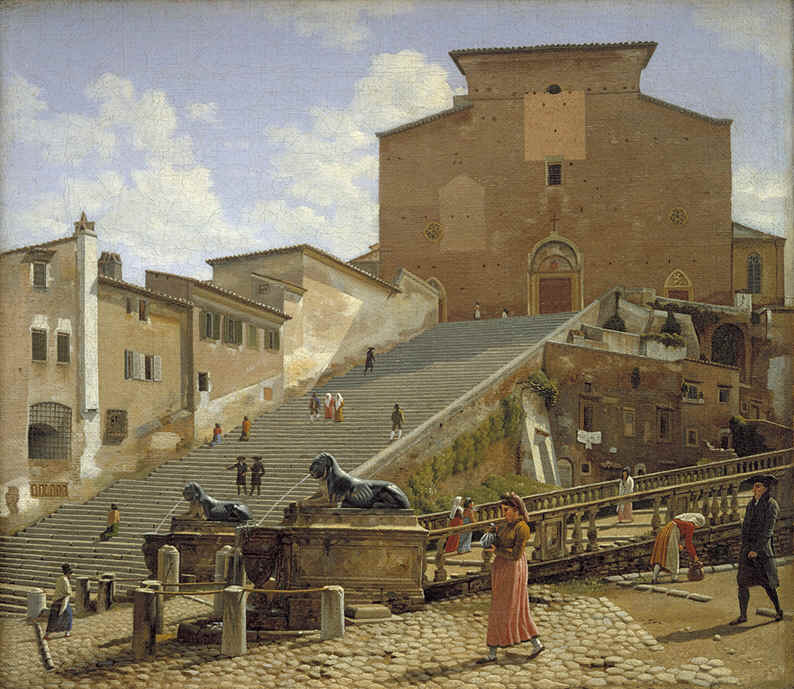 Christoffer Wilhelm Eckersberg (1783-1853) painted architecturally specific views of sites in Rome just as he saw them, and included just as much detail on the people moving past his locations, whatever their state of decay. Most of his works have a crystal clear light more common to his native Denmark, rather than the golden glow that is associated with Rome. For an artist whose renderings of buildings had the precision of a draftsman, he did as many fine works capturing human forms in a wide range of natural states; most are not in formal poses though portraits are also part of his varied catalog. In later years, and on return to northern climates, he did a number of marine works, again faithfully detailing the features of large ships that were essential to their good function.